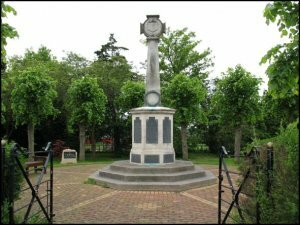 Measham War Memorial is situated on Bosworth Road. There are 44 names listed for World War 1 and 11 for World War 2. The memorial was dedicated by Ministers of Measham and unveiled by the Countess of Loudoun 21st May 1921. It cost about £2,000 raised by public subscription, the sculptors were Messers Wells and Co, the builders Messrs Bottrill and Sons and the designer was Mr Harry Swanwick. 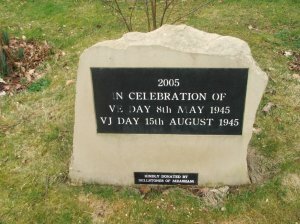 There are 44 Lime Trees planted in dedication to fallen servicemen of World War 1, 11 Almond Trees in dedication to fallen servicemen of World War 2 and 1 Spring Glow dedicated to the fallen serviceman of Iraq. Conservation work was carried out to the monument in 2015 with a grant from the Minorca Community Fund. Each year a Remembrance Service is held on Remembrance Sunday commencing at 10.45am.